This past winter Northern California received significantly less than normal rainfall. 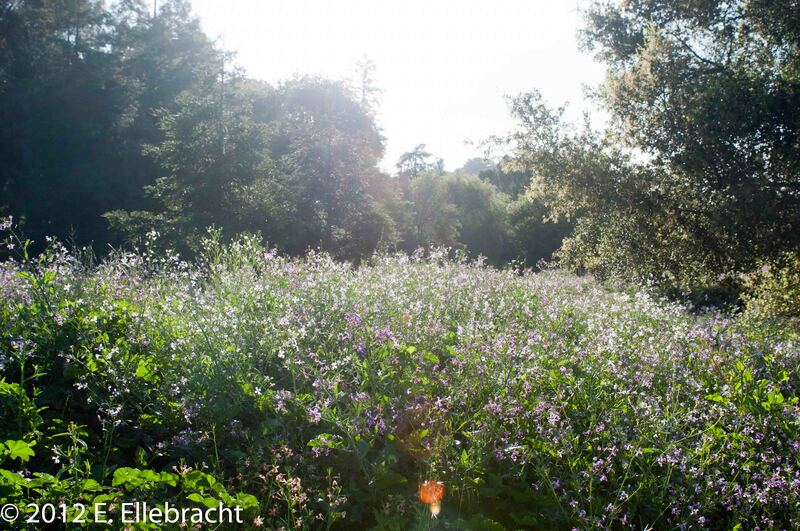 In spite of this and perhaps due to some unusually late rains, the local wildflowers were doing well. In Kimber Park the neighborhood Open Space wildflowers were unusually fantastic this year. 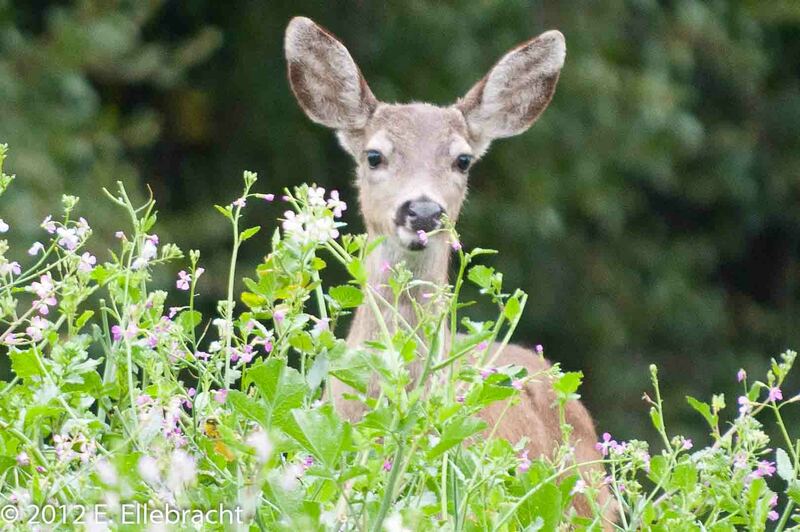 The meadow was teeming with wildlife, as the deer, birds, squirrels, raptors, butterflies and local bees enjoyed the buffet placed before them. 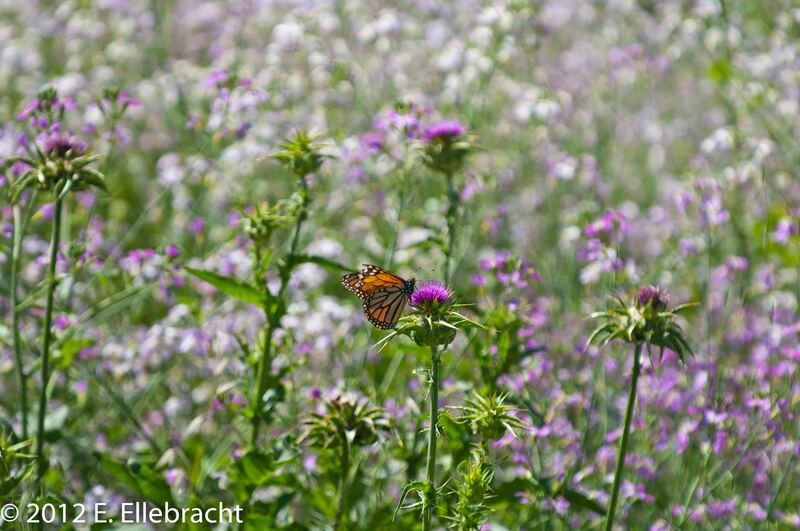 An early season Monarch Butterfly enjoys breakfast in the Kimber Park wildflower meadow. 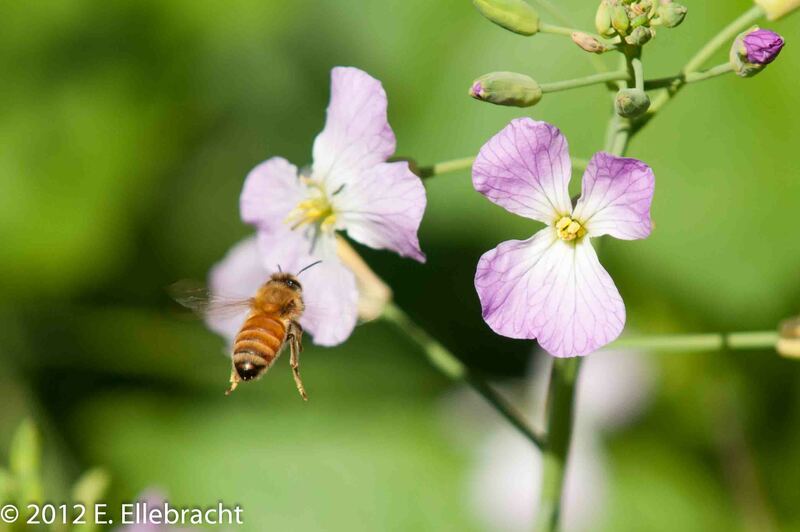 A Kimber Park honeybee gathers nectar and pollen from the wildflowers. As mentioned in a previous post, the wildflowers met with an untimely and unwanted demise. Why would they be destroyed when in their full springtime glory? People in the neighborhood and from other areas in Fremont were walking nearby, having come to see the local flora and fauna in their springtime splendor. The flowers presented no fire hazard, and would have remained green for months. They were in their natural role, providing a food source for the local wildlife and reseeding the area for next year’s display. 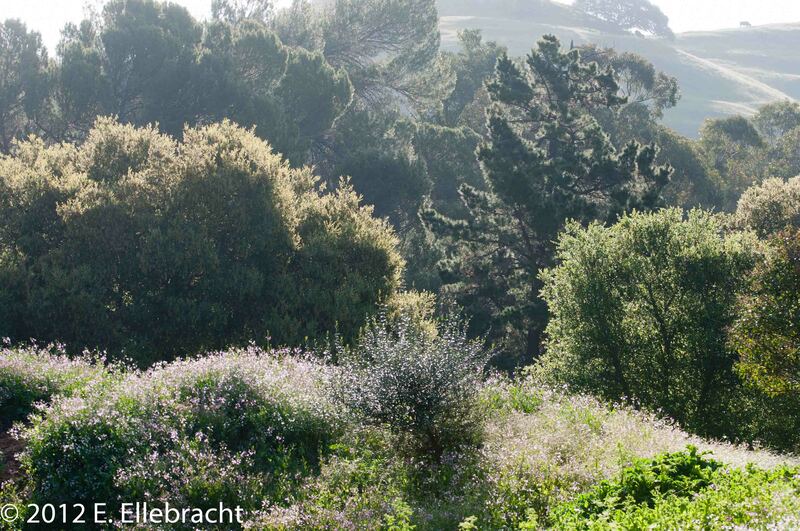 One strong possibility is that the natural beauty provided a dissonance with the current owner’s publicly stated intentions: they want to build houses on the open space in the middle of this Planned Community. The property has no development rights and is the site of a 60-year old Redwood forest. This beautiful meadow certainly seems to lend credence to the use that Shapell Homes deeded to the property during the original development (see this post for more info) – this land must be left natural. This looks more like a place for houses, now that the wildflowers are being taken out. 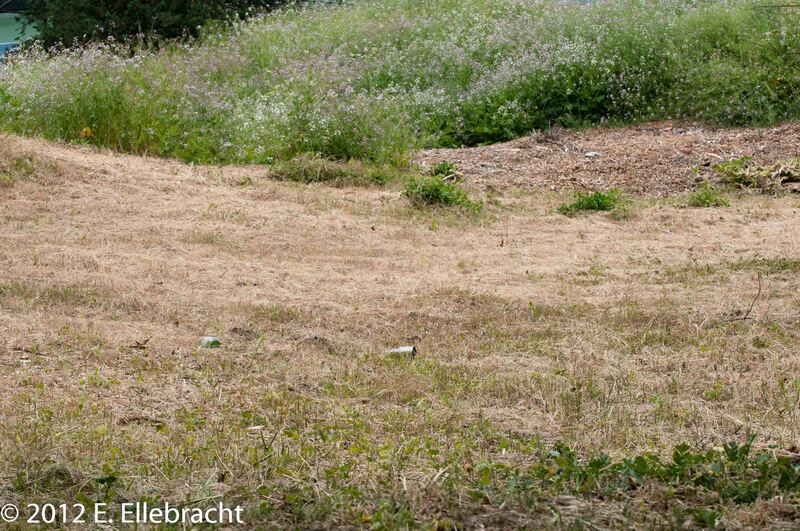 The Kimber Park Open Space, shown with the wildflowers in the foreground razed. 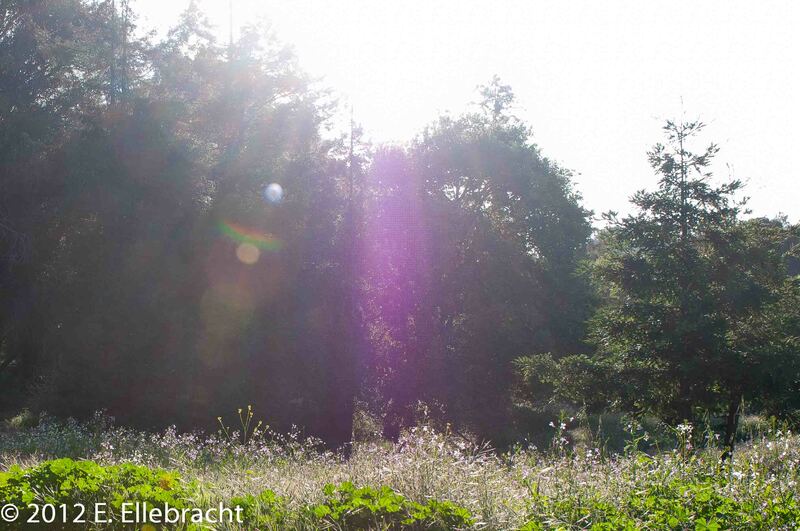 The remaining wildflowers were cut shortly afterwards. It is also possible that the owners are just not competent enough to know that the flowers should not be cut down after until after they have finished blooming and died back. It’s possible that not everyone likes flowers (OK, I’ve actually never met anyone who admitted to this, but they must be out there somewhere. There are, after all, more than 6.8 billion of us on the planet). In either case I feel bad for the landscape workers, put in an impossible position. Something tells me that they might have a clue here and on their own would have handled the situation appropriately. But that’s just my opinion. But a recent turn of events left me wondering if someone is getting the message after all. 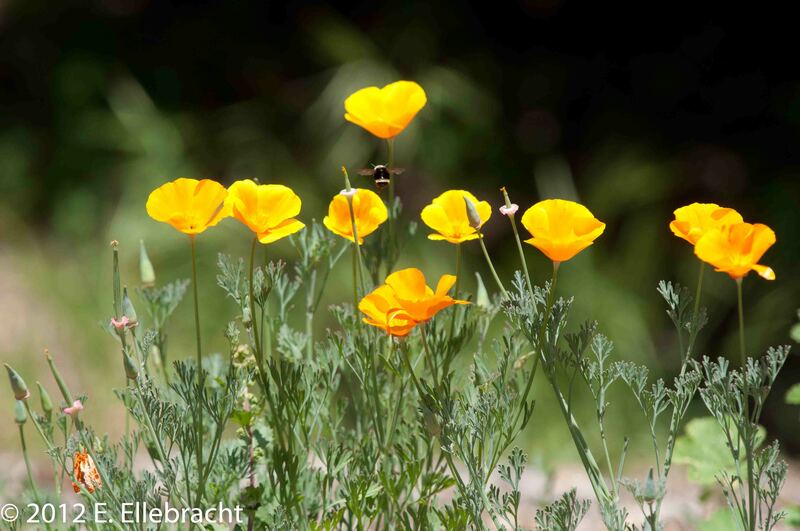 I took these pictures of California Poppies on a different part of the property. Other blooming poppies elsewhere on the property were already cut to the ground. It looked like these guys would go next, as the landscapers made their way across the acreage. 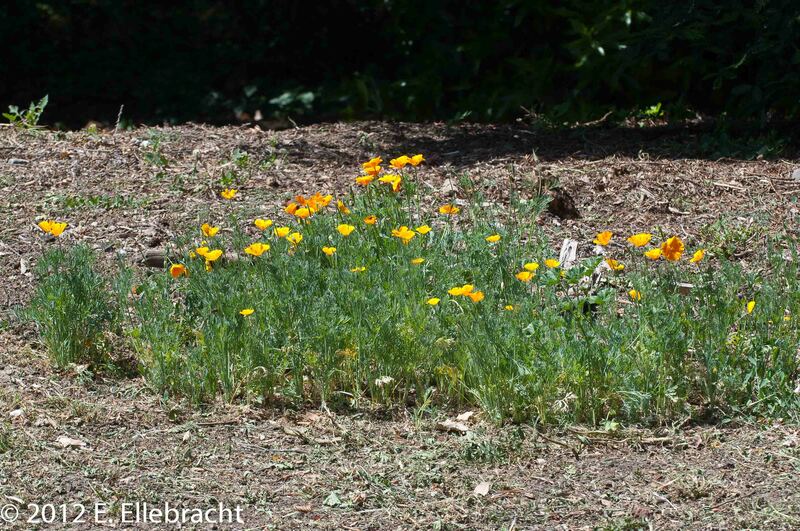 California Poppies growing on the Kimber Park Open Space for the first time in recent years. The local native bees seem to really enjoy them. 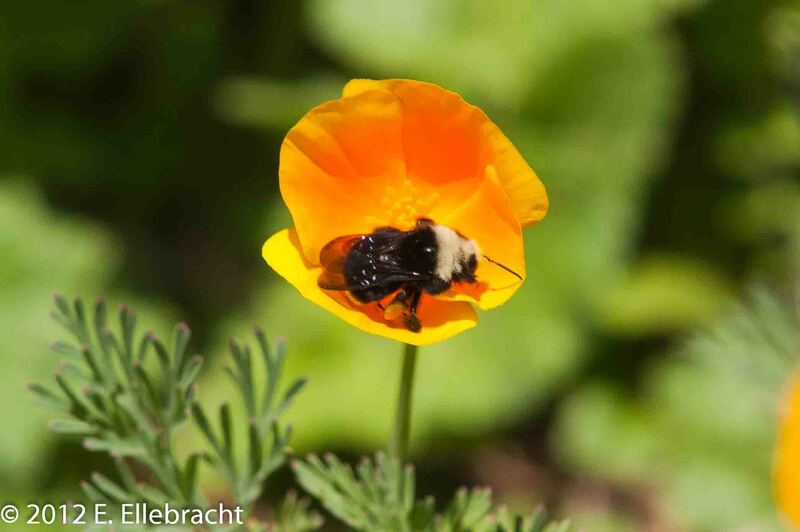 A native bee gathers pollen from a California Poppy at Kimber Park. For the time being, this patch of poppies was not cut to the ground when the surrounding weeds were. Here they are, left standing after all. A few poppies still survive. Is the word getting out to the owners that the residents of Fremont are being informed about what is going on here? Hundreds of volunteers are spread out across the city, working diligently to make their fellow Fremont residents aware of the lengths being taken to try to force dense residential housing on the mitigating open space of a wonderful Planned Community in Fremont. In these tough times, it is heartwarming to see cynicism and skepticism about local governance erased and replaced with resolve, determination and joy, as thousands of Fremont voters participate in the democratic process and help get the Protect Fremont Open Space Petition on the ballot. Are the Mission Hills Tennis Club owners even aware of the untenable position they are making for themselves in Fremont? Do you agree, disagree or have other thoughts to add? If so, please add your comments. As always, opinions presented here are those of the author.